I hope she is not eating little babies or lambs or such. Goodness I haven't seen that many wrinkles since I owned a Shar Pei. This one she has lost her wrinkles and gained a spare tire and another roll, it was taken last year. Perhaps her wrinkles, like her ninnies, have gone south. 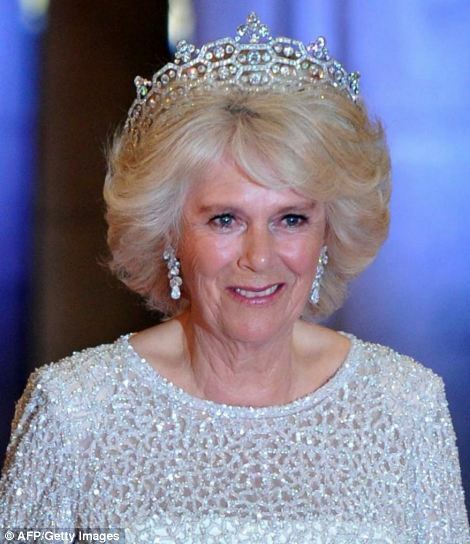 I can't make my mind up whether she has had a facelift or the photographs are photoshopped There have been some pictures with deep wrinkles taken in the last 12 months. Maybe they are photoshopping as part of the PR drive to make her more acceptable to the public. That woman is costing a fortune in facial treatments. No longer the simple country woman, eh? 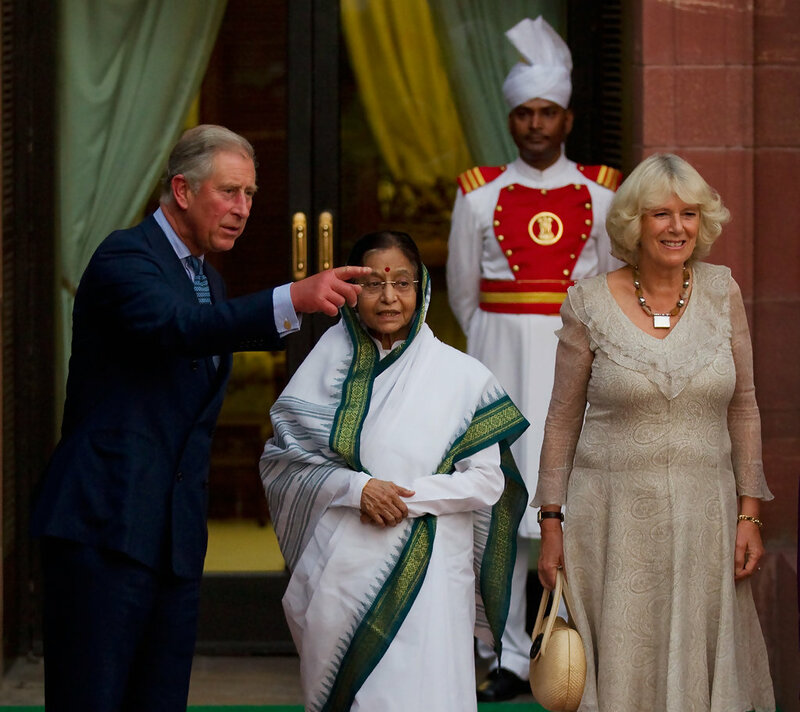 I really think that these good photos of Camilla are photo shopped or airbrushed. The above picture was taken around 12 months ago. The picture of her at the Dutch Abdication party (below) makes her skin look quite dewy. She has either had some serious intervention or the photo's have been doctored. I hope whatever massive team of airbrushers and photoshoppers are well paid for having to look at that face.